Failure "of the control" means that although the control surface itself (and it’s supporting structure) may be able to withstand structural loads resulting from deflection, the rest of the airframe may not. This distinction is most important for the elevator, but may apply to the rudder or ailerons under some conditions. If we apply full elevator at or near Va, it’s possible to cause the structural failure of the wings, or other structurally critical components such as the engine mounts. Read that again—it probably contradicts what you’ve been told previously. Simplified statements such as, "below Va, you can’t overstress the aircraft," are false. Let’s consider why. The certification standard states that the minimum allowable value for Va is your stall speed (Vs) multiplied by the square root of the limit load factor. The result of this calculation is your load-factor-adjusted stall speed. So, sure enough, we would expect at speeds lower than this to experience stall before overstress—with the stall-induced loss of lift preventing overstress. So far so good. But there are three problems with this reasoning. First, it ignores negative maneuvers. Full forward deflection of the elevator can still rip your wings off, as your inverted stall speed and limit load factor are normally different from their upright values, and this difference is not accounted for in the certification standard. Bad news, that. Second, it ignores the effect of "unsteady flow" on the wings. It turns out that wings that are pitching rapidly can momentarily produce more lift than wings at a fixed angle of attack (i.e. – they have a temporarily increased stalling angle). 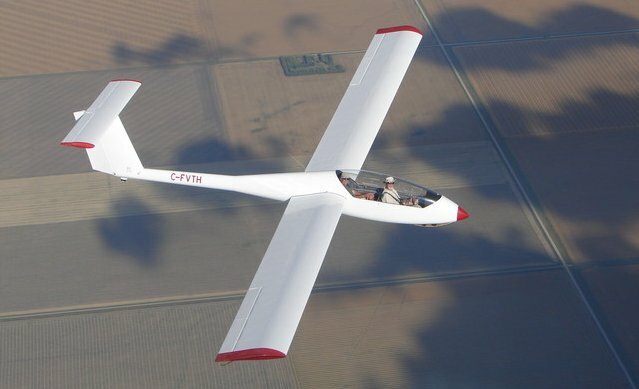 The lift increase varies with the airfoil and the pitch rate, but can be as high as 30%. So if you pitch fast enough, you may be able to overstress your wings by as much as 30% even at or below your load-factor-adjusted stall speed. Third, and finally, the load-factor-adjusted stall speed is the minimum allowable speed for Va. Manufacturers have the right to increase it. Most don’t, but it’s not unheard of. At maximum gross weight, the Piper Cherokee (PA-28-140) has a stall speed (Vs) of 64 MPH, a limit load factor of 3.8 g’s, and a Va of 129 MPH. Do the math. It’s not a very big difference, but it is there. At this published Va, the control surface can withstand full deflection, but full positive deflection of the elevator, even done slowly, will bend the wings. The bottom line here is that your maneuvering speed, Va, can be used as a reference speed with regard to control surface strength. But when it comes to combined or multiple maneuvers, it must be taken with a grain of salt. Further, if you want to protect yourself from other types of structural problems (airframe overload or overspeed), these considerations need to be independent of Va.
Hopefully, this helps to clarify a very unclear speed, and will help you to become a safer pilot. DISCLAIMER: The comments made here (and in Part 1) regarding maneuvering speed assume that the aircraft in question is of conventional configuration with no special or unusual standards applied. Aircraft for which all comments are not accurate may include (but are not limited to) canard and tandem wing aircraft. Maneuvering speed, denoted as ‘Va’ in V-speed notation, is probably the most poorly understood speed in all of aviation. As the speed is associated with structural limitations, one might anticipate that not understanding it could lead to trouble. Sure enough, there have been fatal accidents in which the pilot’s incomplete (or incorrect) understanding (or application) of Va has been identified as a contributing factor. One notable example, which has received plenty of media attention: On November 12th, 2001, American Airlines Flight 587 crashed after takeoff from JFK Airport in New York. The accident was caused by an encounter with wake turbulence from a preceding aircraft while flying at 250 knots. In attempting to recover from the wake turbulence upset, the pilot-flying used multiple large rudder control inputs below Va, which was 270 knots. The vertical stabilizer was structurally overloaded and separated from the aircraft. The resulting flight characteristics led to a complete loss of control followed by ground impact, killing all 260 people on board and 5 people on the ground. This crash resulted in lots of finger pointing: pilots, manufacturers, airlines, training companies, regulatory officials, all blaming each other. But the truth is that flight crews are not properly taught about maneuvering speed, and the resulting misdirection has not only been allowed, but promoted by regulatory authorities. This situation has improved slightly since AA587, but there is plenty more work to be done. Common wisdom is that at speeds lower than Va, it is impossible to overstress the airframe with any control input. Less common, but still out there, is the belief that at speeds below Va, it is impossible to overstress the airframe with turbulence or a combination of turbulence and control inputs. Both of these beliefs are false. "Maneuvering speed is the maximum speed at which a single full deflection of a single control will not result in structural failure of the control or it’s supporting structure." That’s quite a mouthful, so take a minute to re-read it. The highlighted parts of the definition are where people get into trouble. Lets look at them in turn. "A single full deflection" means that we aren’t oscillating the control back and forth. To illustrate how this might be a problem, let’s look at the rudder. Full deflection of the rudder will result in some known side load on the vertical tail. This load is known by the aircraft designer(s) and the structure is strong enough to withstand the load at speeds at or below Va. However, if we start with our rudder fully deflected to the left, the aircraft will be in a sideslip. The sideslip means that the vertical tail is at an angle of attack, and therefore, if we reverse the rudder deflection, it will produce more “lift” (sideload) than in coordinated flight—thus creating more stress on the rudder and tail structure. This effect is amplified if we oscillate the rudder, because the momentum of the rotating (yawing) aircraft will carry it momentarily to a higher slip angle than it can maintain. At this higher slip angle, if we suddenly reverse the rudder deflection, structural failure can result even though we are below Va. A similar effect applies to both the ailerons and elevator. "A single control" means that the interactions of multiple control actions can result in structural problems even below Va. For example, on the Grob 120A,the utility maneuvering speed is 145 knots and the aerobatic maneuvering speed is 165 knots, however, simultaneous full deflection of the elevator and rudder is not permitted at speeds above 110 knots. This is because the maneuvering speed is based on single application of a single control. The combined lateral and vertical load of rudder and elevator together can lead to a structural failure somewhere in the tail. Similarly, applying elevator to increase the angle of attack of the wings while also applying aileron may result in overstressing the ailerons at large deflections—even below Va. I finished a couple of products I was working on. My Private Pilot License Written Exam Preparation is now complete, as are my Instructional Air Notes. There are still some logistical issues to resolve regarding publication, so it’ll be a while yet before they reach the market. But never fear! I’ll post a link to ordering information as soon as it’s available! I also spent the summer (April - August) in Northern Ontario flying forest fire patrols. That is a time-building job in the truest sense—the pay isn’t that good, but the multi-engine hours in your logbook are very good for your resume. The job itself was fun. Good company (Hicks and Lawrence), good airplanes, good people. The only real downside was that it was a slow summer. Oh well! You win some, you lose some! As the Hicks and Lawrence gig was a fixed-term contract, I started searching for my next job very early. Well, things are pretty lean in the aviation game these days. It took me the better part of the summer to find something – despite having lots of free time (see above about the slow summer!) to actively search. The good news? All that frustration and waiting paid off. I start work tomorrow at Allied Wings. After they put me through their initial training program, which should last about 2 months, I’ll be training military pilot candidates on their Primary Flight Training course. For a career instructor, this is a dream job. I get to teach top-notch students a top-notch program in a top-notch airplane (the Grob-120A). Anyway, that’s the short version of my update. This is just a quick note to get the blog moving again. My goal is to post at least once a week. I’ve deleted a couple of earlier posts that outlined my plans for this blog. I’ve spent too much time writing manual, books, and student guides. This has led me into the terrible habit of being organized. Can’t have that in a blog:). Things here need to be a little more chaotic. Future posts will mostly be about flying or flight training, but don’t be surprised if there’s the occasional one that comes out of left field—like my next post, which will be about a haggling experience I had in the Middle East that I was reminded of today.